There are many wine regions in the world whose names appear on bottles, but their true quality and diversity is hidden: their bottles only show the tip of the wine-iceberg. Those who dig a little deeper are often rewarded with getting the inside scoop on top wines that may be undervalued by, or unknown to, most of the world of wine. The Uco Valley of Argentina is definitely one of these regions and this week’s wine, the Zuccardi Cabernet Sauvignon 2015, is an Uco Valley wine definitely worth a closer look. 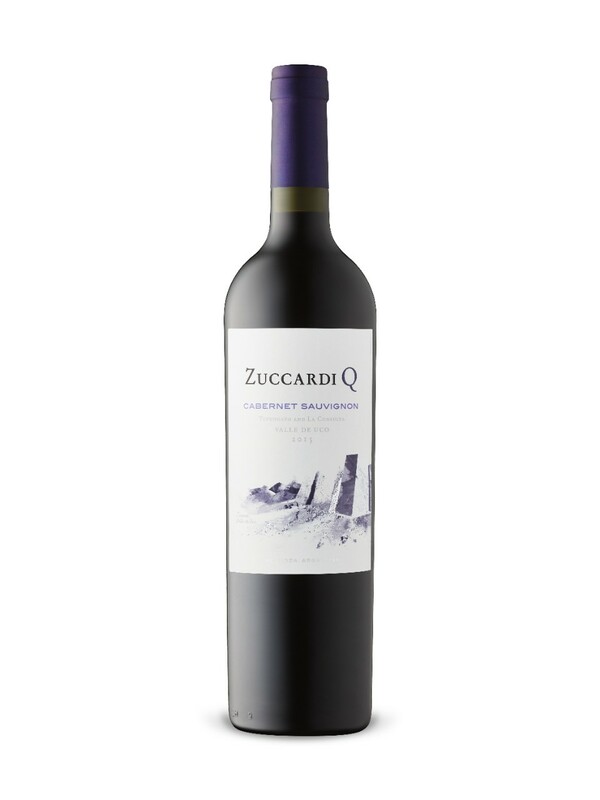 Tasting Notes: The 2015 Zuccardi Q Cabernet Sauvignon is what you would call a ‘mountain wine’; well-structured, with a balance of fresh acidity, a backbone of firm, ripe tannins, and fleshy, juicy fruit. The Q Cab has all of this, with a little extra juiciness being added by the 10% Malbec that is fermented with the Cabernet Sauvignon grapes for a well-integrated final wine. Black fruit and cassis, oak spices, a graphite-minerality, and a long finish are the highlights of this fresh, full-bodied Cab. Enjoy With: Grilled or braised red meats, hearty stews, meatballs and aged hard cheeses. Style: A dry, full-bodied, structured red wine. Terroir/Region: Being a result of the evolution of the Andes mountains, the Uco Valley is a high-altitude desert with incredibly varied soils and terroir. With 10 sub-regions, all bringing distinct characteristics to a wine, it is easy to consider the name ‘Uco Valley’ on a wine bottle as the tip of the flavour-iceberg. All of this diversity, matched with the region’s reputation for quality, means wine drinkers have a lot to celebrate, starting with the Zuccardi Q Cab! Producer: Zuccardi has earned a global reputation for the quality of its wines and it continues to push the boundaries of the region it loves so much. Zuccardi is one of the wineries which has invested heavily in the area, building a state-of-the-art winery and extensively researching the soils and climate of the region. All of that knowledge and experience is poured into every bottle, and it is easy to taste what a difference it makes. Availability: Zuccardi Q Cabernet Sauvignon will be in the Vintages section on February 2, just in time for Groundhog Day, but some stores may already have it on the shelf. Grab a bottle today to begin discovering Argentina’s Uco Valley!